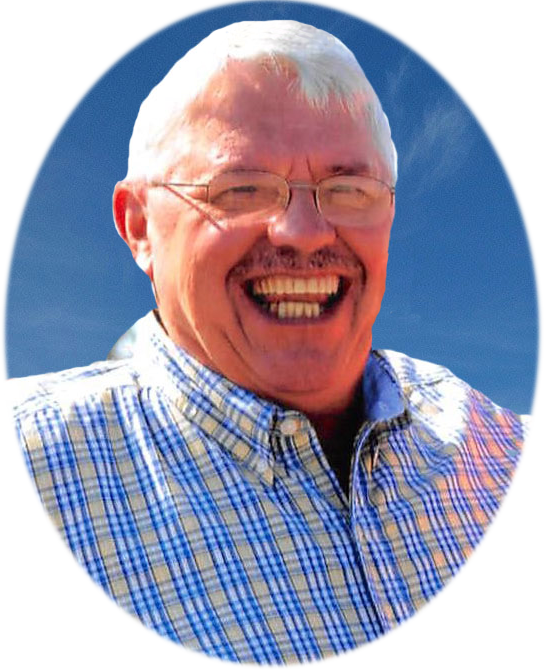 Terry “T.Y.” Edward Young died peacefully the morning of March 22nd, 2019, at his home in Glasgow, 13 days after he was diagnosed with pancreatic cancer. Though his illness was sudden and shocking, his struggle was mercifully short and with minimal pain. He was 76 years old. Terry was born August 11th, 1942, in Tulsa, Oklahoma to parents William and Katherine. Along with younger brothers Garry and Dee and older sister Martha, the family moved around the country, finally settling in Wagener, South Carolina. Terry graduated from Wagener High School in 1960 where he excelled as an athlete in baseball, basketball, and football. He was a popular student; known for his famously outgoing personality. After high school, he attended the University of Oklahoma in Norman, Oklahoma, where he played football as a Sooner for 2 years. Fandom for his alma-mater remained a lifelong passion. Terry left college to work on the pipeline with his father. Terry worked through his pipeline career as a welder helper, pipefitter, and welder. In his later years he was a pipeline inspector. He was a lifelong member of Pipeliners Union 798 and worked in nearly every state, including Alaska. Terry’s job brought him to the Montana Hi-Line where he met the love of his life Debra. They married and Debra traveled around the country with him, having a family of 4 boys and 1 girl along the way. They settled for a few years in Lakeport, California, where Debra held together the household while Terry traveled to work. In October 1985 Terry traded in the pipeline lifestyle for a more stable small-town raising of his growing family. He and Deb moved back north to Glasgow, Montana, where they found the support of family, friends, and the community. In 1987 Terry went to work at Gordon’s foods, a local grocery store, where he would stay until 1998. There he got to know just about everyone in town and they got introduced to his friendly conversation, sharp Carolina accent, and famous smile. Terry and his family faced many struggles together over the years, supporting his son during a battle with childhood cancer, and then his wife as she gradually lost all her vision. In their older years Deb would come to rely on him significantly through her several health challenges. He loved her dearly and was her caretaker without complaint. Though he was an athlete in his youth, Terry didn’t push his own children into sports. However, he was always an enthusiastic supporter of any and all interests they pursued, be it art, music, hunting, fishing, or motorsports, and was very proud of all his children. He was an ardent supporter of Glasgow Scottie athletics and athletes, often making a round of phone calls to encourage players and coaches the night before a game. When it came to his niece and nephew, he was their #1 fan. His support extended further as his family grew and he was able to share in the interests of his grandchildren and in-laws. He loved spending time with his young granddaughter Kamry and hearing about her many exciting activities. He was an avid outdoorsman who loved hunting and fishing with his children and friends. One of his truest joys was ice fishing at Nelson reservoir, spinning yarns at Murph’s, and having a few beers. Terry was a master joke and story-teller who often held court with a tale from back in the day or made his opinion known on a variety of subjects. He was a fantastic music fan and loved to reminisce about the good old days of rock and roll or “really good country and western”. There wasn’t a close friend of his or his children that didn’t know the story of Bo Diddley or hadn’t seen him Hambone. In 1998, with his oldest kids leaving high school, Terry returned to the pipeline. It was a testament to his incredible work ethic that he continued traveling and working to support his family until the age of 72, when his wife and children insisted he retire, after a health scare and stroke. In retirement Terry continued to help where he could in the community. He volunteered for the Council on Aging, and Meals on Wheels. He drove the Valley County Transit bus and spent a lot of time with Glasgow’s senior citizens. He was happy spending time with friends and making his way around town – stopping to talk to everyone he knew along the way. He enjoyed traveling with Deb whenever they could to see their children and their families. Terry was preceded in death by his daughter Terri Anne, son Timothy, sister Martha Kay Ellsworth, nephew Bill Young, parents William and Katherine Young, brother-in-law Robert Stenswick, and sister-in-law Ramona Stenswick. Terry is survived by his wife Debra; his sons Travis (Hollie) Young, Trent (Tara) Young, and Todd (Emily) Young; his children from a first marriage – Kimberly (Tony) Wechter and daughter Anna and son Michael Young and Dana (Darlene) Young – all of South Carolina; brother Garry (LaMyra) Young; nephew Tyler Young; brother Dee (Judy) Young; sister-in-law Mary (Mitch) Hughes; niece Karissa (Dom) Keenan; nephew Dylan Hughes (Jami Johnson); brother-in-law Jack Stenswick; granddaughter Kamry Young; grandson Cayden Sieler; grandson Julian (Jylisa) Butcher; great-granddaughter Finley Rose Butcher and grandson Trystan Butcher. Funeral Services for Terry will be 2:00 p.m. Friday, March 29, 2019 at the Valley Event Center in Glasgow, Montana with Pastor Bonnie Novak officiating. Burial will follow in the Highland Cemetery in Glasgow. A reception will be at the Elks following services. TY always brightened my day when he came for his laundry at Little Campers. He took a sincere interest in everyone & his joyful heart was contagious. His love & admiration for Deb was apparent in his patience & kindness–what a beautiful example! TY will be missed, but never forgotten. We lift you all in prayer. Thoughts and prayers for the Young family! TY will be missed by the entire community. Cant find a friendlier. kinder man. Cherish your memories! I have such fond memories of TY from my childhood and through high school. He always had the biggest smile and he was so kind to everyone. My heart is heavy for the Young family. Terry was a wonderful example of a kind, thoughtful, loving and friendly man. He will be greatly missed. My deepest sympathy to the Young family. He will remain in your hearts forever. A lot of memories of TY and the family. True gentleman, Father, and Husband. Time, Faith, and memories are the only healers. RIP my ol Sooner. Prayers with ya Deb and family. Out thoughts and prayers to the family. Terry was truly a good and decent man. He will be missed by many. So sorry to hear of Terry’s passing. He will always be remembered in our hearts as a kind sweet man. We so enjoyed our visits with him and looked forward to seeing him whenever we were in the north country. Deb, your family will always be in our prayers. TY and Deb really made BLM seasonal workers experience the best. So friendly, welcoming, and big-hearted! TY, you will be missed. I will always remember his huge smile and outrageous stories. Prayers for Deb and all the family. Take Care Dear Young Family. Terry was such an amazing and kind person! He always greeted me with a smile and was so easy to visit with. My thoughts and prayers are with all of Terry’s family! May you find peace and comfort in the days ahead. So sorry for your loss, Always enjoyed time spent with him. Garry & LaMyra , Dee and Judy, and all the family and friends, we were so very sorry to hear of Terry’s passing. He lived a wonderful and full life. He was one to be loved and remembered fondly. Bruce & Pat Keadle, Perry, SC. What a bright light and ready laugh, shaped by that distinctive twang. I’ll miss seeing TY around, but his gift lives on in a remarkable family. We’re thinking of you, Youngs.